The fellowship offers law students the unique opportunity to work with some of the nation’s leading jurists and legal practitioners in developing documents that emerge from the Duke Conference series, which brings together judges, lawyers, and scholars to discuss thorny problems facing the legal industry. The conferences have issued best practices regarding large and mass-tort MDLs and amendments to the Federal Rules of Civil Procedure regarding class action settlements and discovery proportionality; documents on technology-assisted review, diversity in complex litigation leadership, and securities class actions are in the works. The projects are particularly useful to students who are interested in pursuing clerkships or careers in civil litigation. 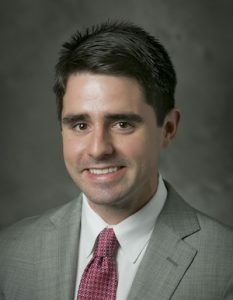 “Working on the Institute’s best practices documents allowed me to interact with first-rate attorneys, gaining a practitioner’s perspective on the practical difficulties posed by certain aspects of procedure,” said Patrick Bradley ’18, who served as a Bolch Judicial Institute student fellow during the 2017-18 year and contributed to the Institute’s Standards and Best Practices on Large and Mass-Tort Multidistrict Litigation (MDL), Implementing 2018 Amendments to Rule 23 Class Action Settlements, and Increasing Diversity in MDL and Class-Action Leadership Positions. His work included editing, drafting additions, and coordinating with commenters to understand the recommendations’ practical consequences and implement balanced language. He also assisted in editing and cite checking articles for Judicature, the scholarly journal for judges published by the Institute. 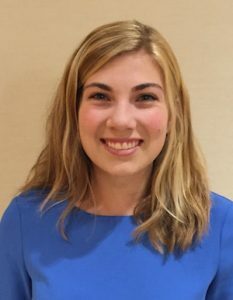 Leah Brenner ’18 assisted with the Appellate Judges Education Institute (AJEI), an annual educational summit hosted by the Institute and attended by nearly 400 appellate judges and lawyers. In 2017, Brenner helped manage CLE programming for the summit and attended the event in Long Beach, Calif. She also served as a student editor for Judicatureand attended the Institute’s 2018 conference on improving diversity in complex litigation. One of her biggest projects was annotating the Institute’s Guidelines and Practices for Implementing the 2015 Discovery Amendments to Achieve Proportionality. For two years, she conducted a monthly review of new cases relating to the amendments and annotated the best practices document to provide practitioners and judges with up-to-date resources on proportionality. “This was a great opportunity to become immersed in a particular subject, especially one that is a newer development in the legal world,” said Brenner,who began a clerkship with Vice Chancellor Sam Glasscock III in the Delaware Court of Chancery in August 2018. “The proportionality amendments have been a hot topic of conversation since they were added to the Federal Rules of Civil Procedure in 2015, especially because they interact with other hot topics, like e-discovery and technology assisted review. Having a thorough understanding of the federal rules — and proportional discovery in particular — has helped me more smoothly transition into my post-graduate career. 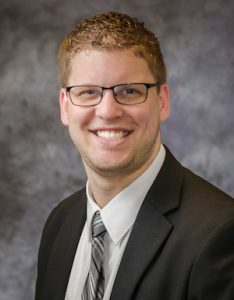 Student Fellow Matt Eible ’19 has contributed to the Institute’s best practices documents, edited articles for Judicature, and assisted with AJEI. Eible, who will clerk with Judge Rhesa H. Barksdale of the U.S. Court of Appeals for the Fifth Circuit after graduation next spring, attended the AJEI summit last year in Long Beach, Calif., and will attend this year’s event in Atlanta to help manage CLE programming and attend sessions. The Bolch Judicial Institute was established early this year with a $10 million gift from Duke Law alumnus Carl Bolch Jr. ’67 and his wife, Susan Bass Bolch. The Institute is dedicated to bettering the human condition through studying and promoting the rule of law. Its programs focus on advancing the importance of rule-of-law principles and a fair and independent judiciary and raising public awareness during lapses or failures in the rule of law. The Institute conducts research and supports teaching and scholarship, will award an annual prize recognizing individuals or entities who have distinguished themselves in the preservation or advancement of the rule of law, provide education for judiciaries in the United States and elsewhere, and develops public education programs for audiences around the globe. Learn more about the Bolch Judicial Institute Student Fellowship here. To apply, please submit a cover letter, resume, and a faculty reference to Professor Maggie Lemos (lemos@law.duke.edu) or Melinda Vaughn (melinda.vaughn@law.duke.edu) before Sept. 21, 2018.